in intimate, ultra-luxurious, concierge-level VIP surroundings. Be prepared to be mesmerized. For the past 10 years, New York-based Bond No. 9 has been a nonstop smash success across the pond in London—specifically on the main floor of the world’s most iconic retail institution, Harrods. But come September the celebrated, prize-winning American perfumer will be in the ascendant at this palace of shopping wonders, expanding its presence into a private, serene, by-appointment oasis ensconced in a prestigious 6th floor containing 5,000 square feet of 17 of the world’s most ultra-luxurious scent shops. Unique in all the world, the Salon de Parfums, as it’s called, is the destination for VIP connoisseurs and aficionados in search of secret seclusion as they select the most exclusive fragrances in existence. The forthcoming Bond No. 9 shop, a fantasia for the senses combining Uptown New York cosmopolitanism with an eclectic Downtown New York vibe, will be the first near-replica of its pacesetting flagship. 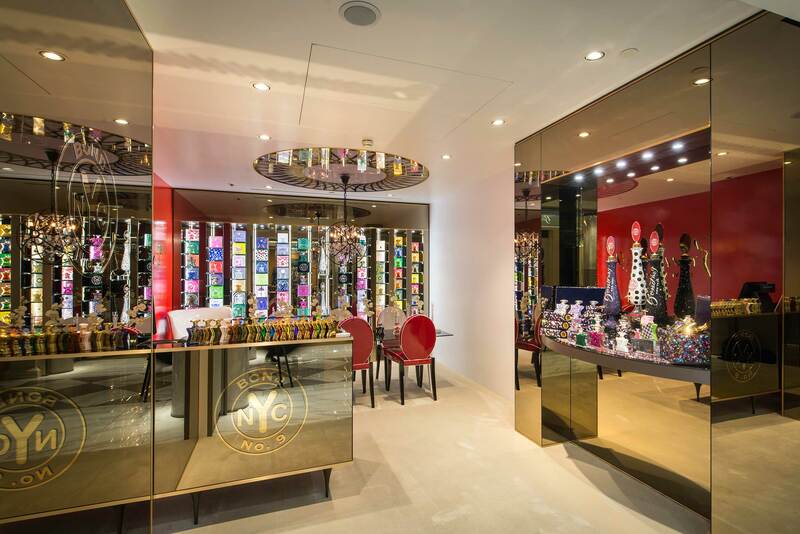 Staffed by welcoming and attentive fragrance experts providing nonstop concierge service, the Bond No. 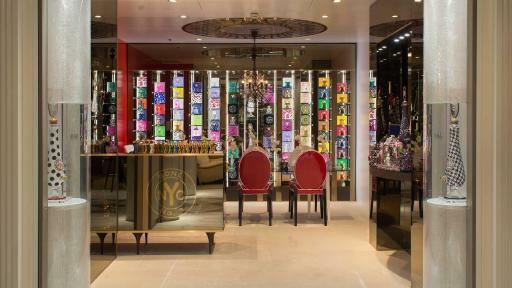 9 Salon de Parfums shop will be in the vanguard of today’s smaller and more experiential luxury retail venues. As for the wares, all Bond No. 9 New World-New York-centric eaux de parfum will be available—not least its 8 scents created expressly for Harrods. In addition, the Salon de Parfums’ Bond No. 9 shop will offer several bespoke services. These include fragrance tastings, detailed consultations, and happy hours, as well as two vaunted premiere specialties. Bond No. 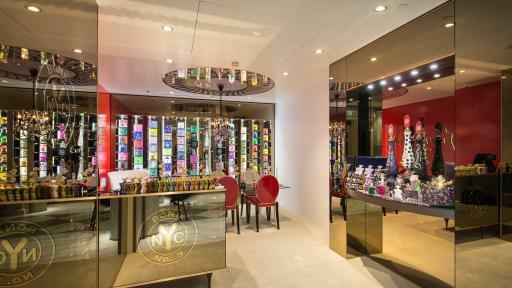 9 above-and-beyond service is Swarovski on Demand—a crystal-studded revolution in personalized perfume bottles. About Bond No. 9 New York: In business for thirteen years, Bond No. 9 is an edgy downtown perfumery, committed to designing artisanal scented evocations of the neighborhoods and streets of New York—from Riverside Drive to Chinatown to Coney Island. Bond No. 9 has a dual mission: To restore artistry to perfumery, and to mark every New York neighborhood with a scent of its own. Each fragrance represents a specific downtown, midtown, or uptown locale or a city-wide sensibility. Harrods began as a wholesale grocer’s and tea merchant in east London, first opening its doors in 1834. Since then, it has grown to become the world’s most famous department store, known for its unrivalled range of luxury merchandise. 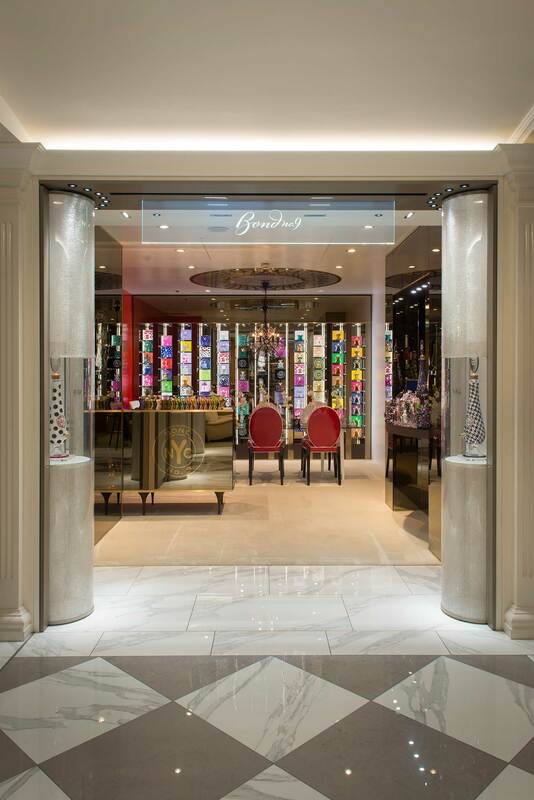 As well as exclusive brands and myriad departments, one of Harrods’ most renowned attributes is its unparalleled service. Harrods continues to be guided by its philosophy of “anything is possible” and, to this day, our customers remain at the heart of everything we do.